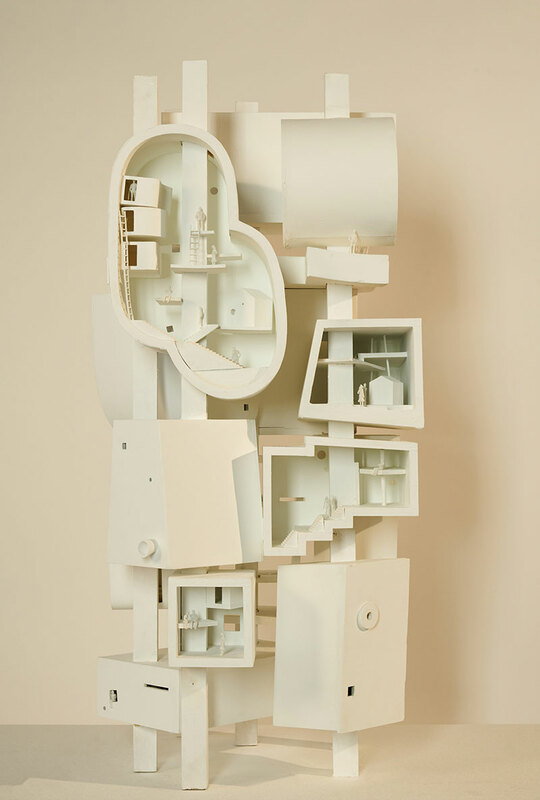 Currently on view at SFMOMA are a series of models by Architecture studio Bureau Spectacular that imagines architecture without the constraints of clients and building regulations, resulting in surreal forms that look like cartoon-like drawings. 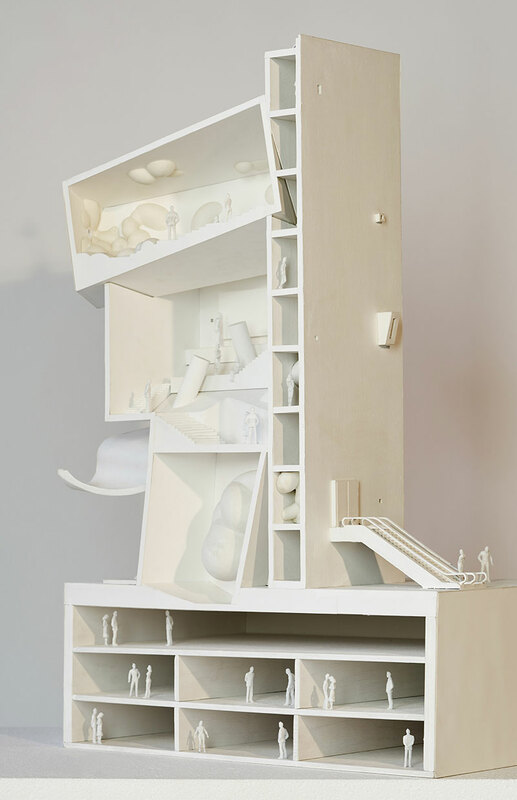 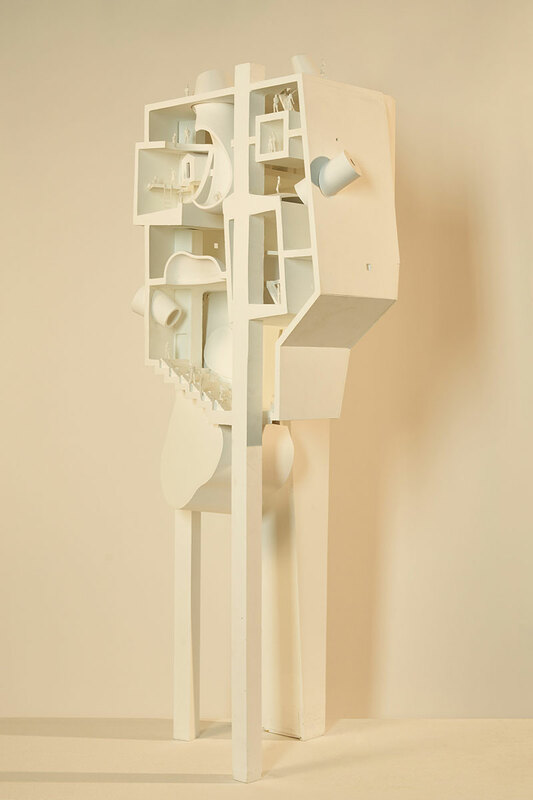 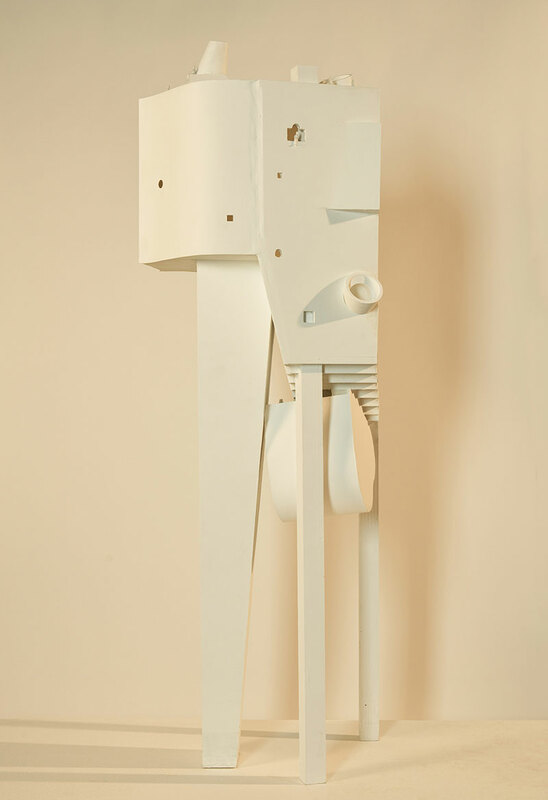 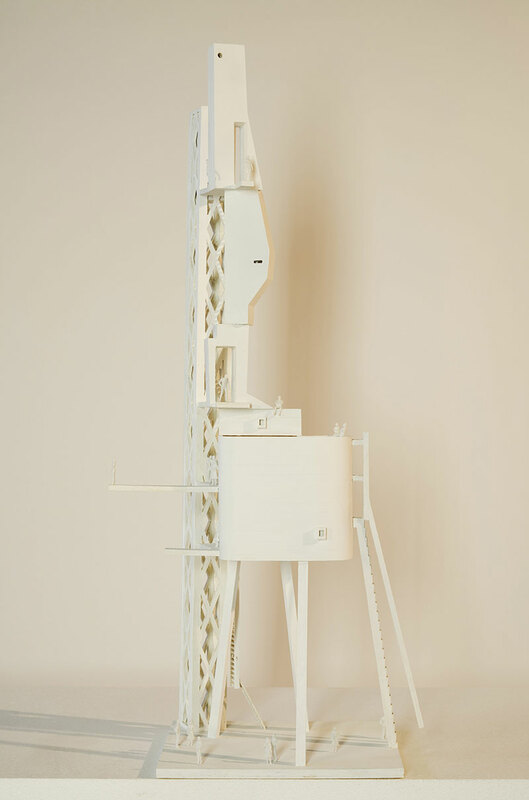 The buildings are based on drawings acquired by SFMOMA in 2015 and the museum asked the studio to develop the ideas explored in the images into three-dimensional models for the exhibition called Insideoutsidebetweenbeyond. 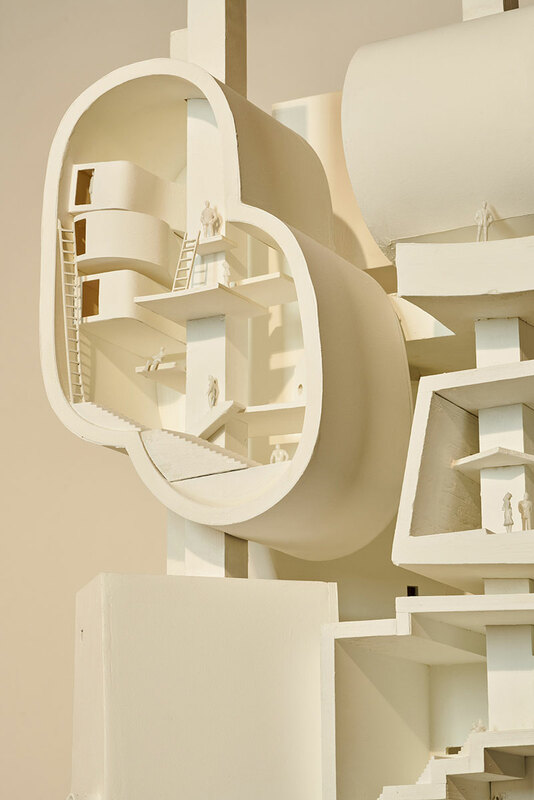 Led by Jimenez Lai, the Los Angeles-based Bureau Spectacular views architecture as a medium capable of rewriting cultural narratives. 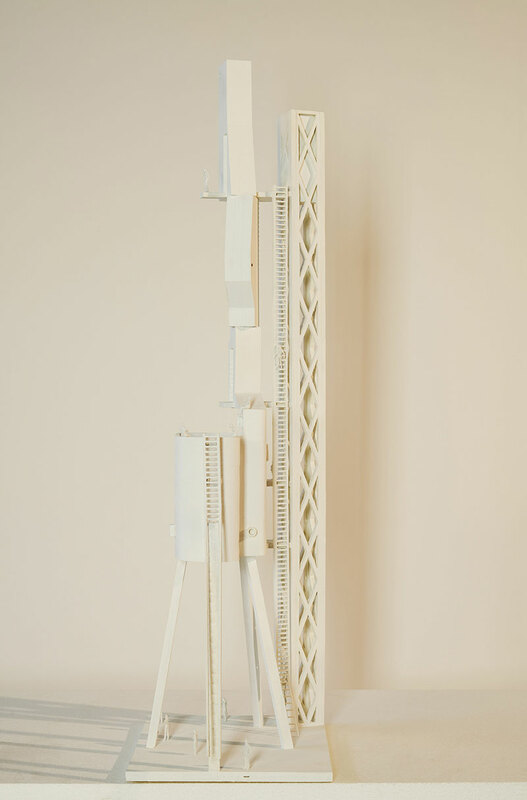 Questioning the banality of the existing typical urban environment, Lai suggests that economic efficiency is driving its character-less architecture — and that, as monuments to civilization, modern cities’ ubiquitous skyscrapers reflect a predictable, mono-cultural society. 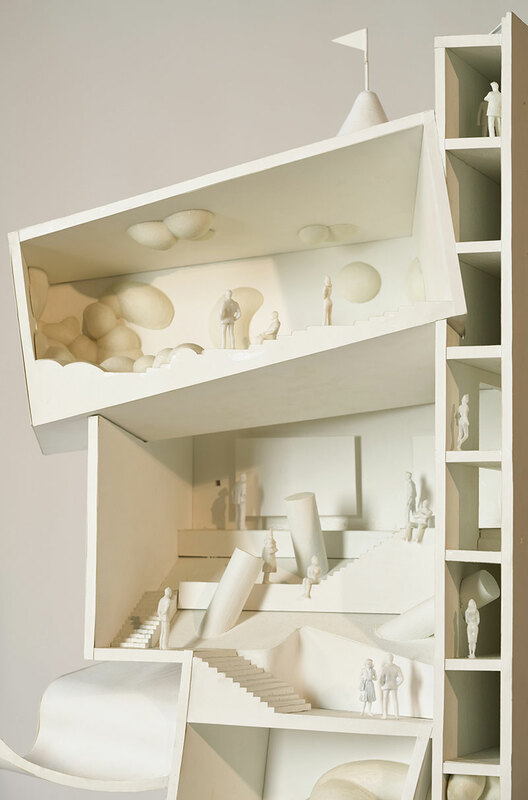 Reconsidering urban architecture inside, outside, between, and beyond the monotonous rectangular buildings seen in most city skylines, the exhibition offers an urban landscape littered with surrealistic architectural forms and jarring environments. 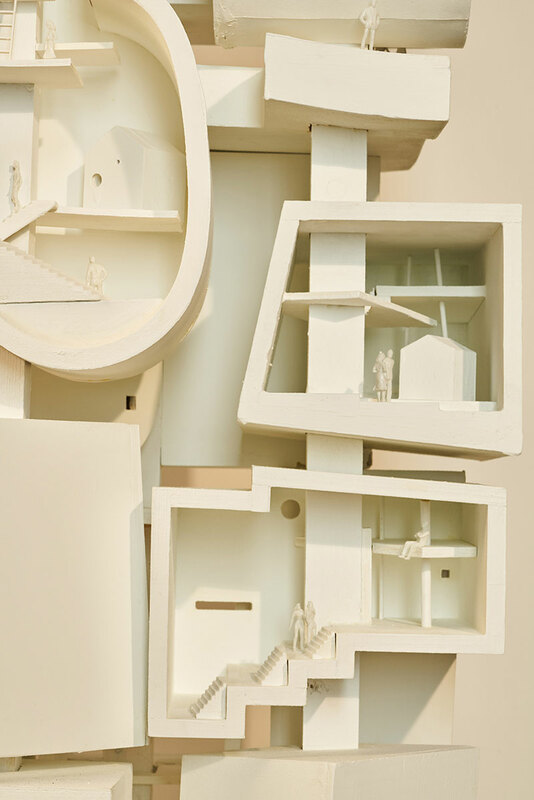 In this installation, Lai prioritizes the value of architecture over efficiency, imparting a more diverse urban sociology. 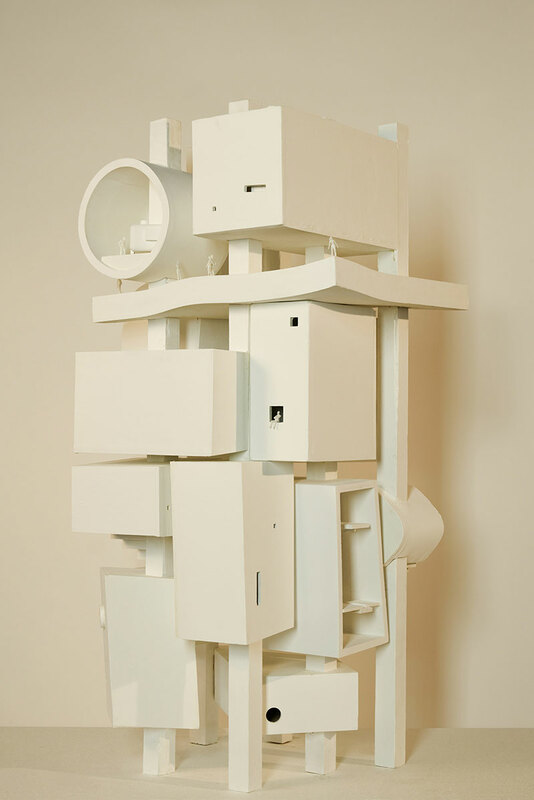 On view at SFMOMA through August 13. 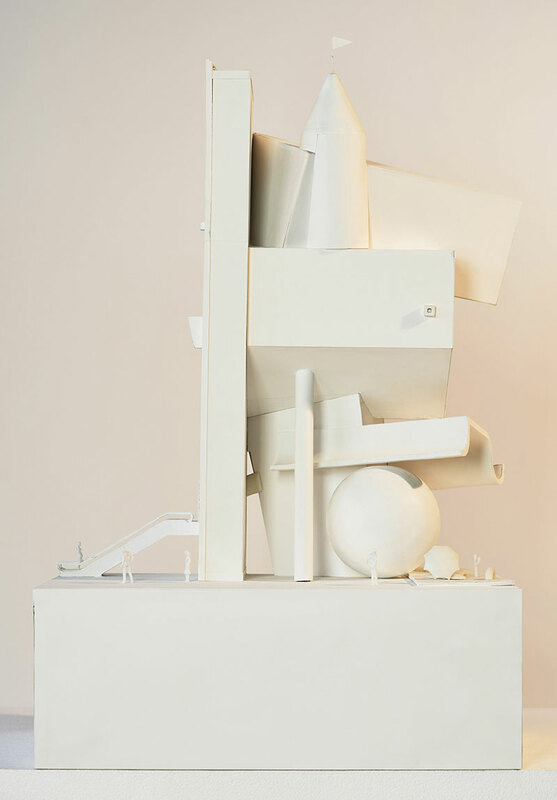 Currently on view at SFMOMA are a series of models by Architecture studio Bureau Spectacular that imagines architecture without the constraints of clients and building regulations, resulting in surreal forms that look like cartoon-like drawings.